Classic rock has become part of the fabric bonding generations together for more than 20 years, with bands such as Creedence Clearwater Revival, Steppenwolf, Styx, and more having tracks that can get the whole family singing along together. 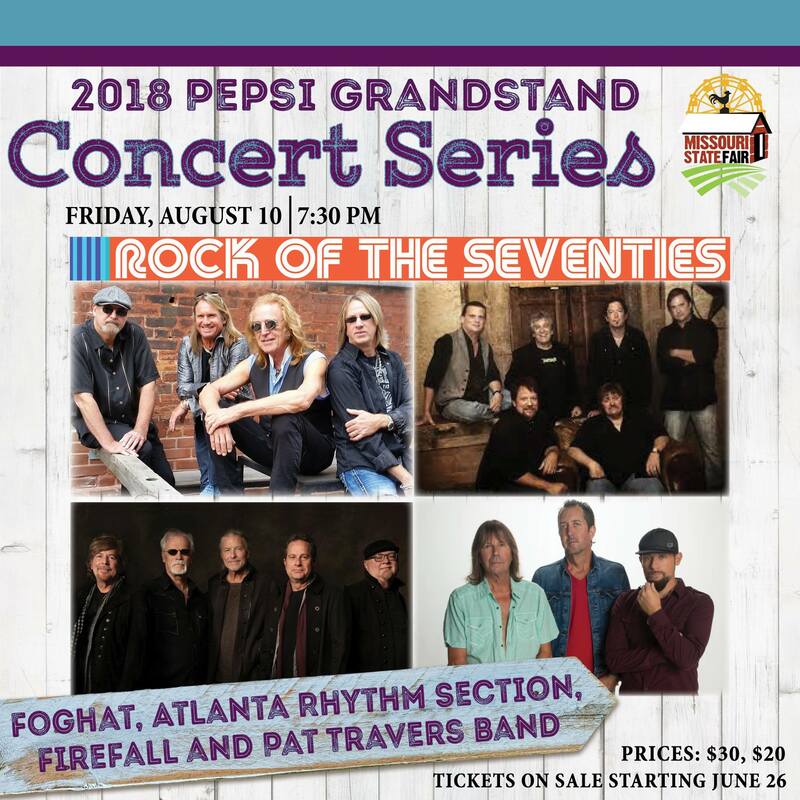 The Missouri State Fair is preparing to host one of those legends, Foghat, this Friday night at the Pepsi Grandstand. Foghat, with their hit song “Slow Ride,” have become one of those iconic bands that symbolize the rebellious nature of the ‘70s yet bring families together with their hit music. The Fair is known to be a family friendly event with multiple generations attending concerts, and Foghat guitarist Bryan Bassett told CMN that’s what makes these shows special. Bassett mentioned his daughter is involved in her school’s band who recently discovered vinyl albums, and wanted his collection of more than 600 of them. When it comes to reaching new fans, he said “Slow Ride” has become a way to get fans involved. On top of attracting new, younger fans, Bassett also said music is a good way to bring people together by forgetting about their normal routines for a day. Friday’s show also features Atlanta Rhythm Section, Firefall and Pat Travers Band – a lineup that has been playing together for several months. Bassett said it’s difficult to squeeze in more than 40 years of music into one night, especially with every album having a major anniversary these days. But fans at the Fair can expect the hits. After playing the Fair two years ago, Bassett said the band is looking forward to returning because it left such a good impression on them. “It was great meeting the people and seeing how enthusiastic they are about the music,” he said of the Fair. Tickets are still on sale via Ticketmaster here. Follow the Missouri State Fair on Facebook here.